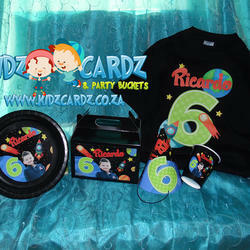 We personalize a wide range of party items: Cups, Plates, Party Buckets, Party Boxes, Party Bags, PVC Banners, Character prints, Backdrops, Baby on Board Stickers, Popcorn Boxes, Water, Steri stumpies, Oros, Energade, Jam jars, juice, Non Alcoholic Champagne, Candy Floss, Pizza Boxes, cup cake toppers, Welcome signs, Party Hats, Tags, place cards, cupcake wrappers, my first birthday signs, pinatas, Invitations (Digital, printed or fridge magnets) any size vinyl water proof stickers and 60ml Bubbles. We are Based in Alberton, Gauteng but we deliver nationwide! We supply Party Packs for any occasion: Halloween, Christmas, Birthday Parties, Year end parties, Weddings and Baby Showers just to name a few! We also personalize Champagne and Wine bottle labels for any occasion! Contact us today for affordable prices and great service to make your function unique! Looking for cute kids bags? Have your Mini Peeps carry all their goodies in one of our awesome Personalised Kids Backpacks. Great bags for all ages, Our colourful range of kids Personalised Backpacks and Children’s bags are perfect for School, traveling, everyday use and for any child always on the go. They are just really really cool. Our kids backpacks, toddler bags & Drawstring bags are Mini Peep tested and approved, Just add a child's first name, a last name or both. Dress-Up your Bubbles to fit your party Theme! 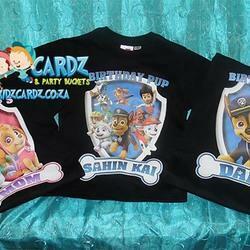 Can be personalized with or without a photo of the birthday boy/girl. Digital Invite (image in jpeg format) A themed party invitation sets the tone to any party. Your party invites can include imagery that represents your theme, a welcoming note that invites the guests as well as details of the date, place and time of the party. 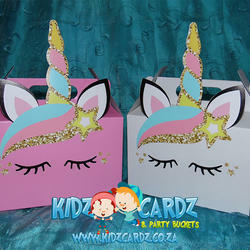 Digital party invitations can be send out for adult parties, weddings and kids parties. Not only does this enable you to reach everyone easily, but it also saves you money and probably a few trees. These large pinata's are perfect for entertaining kids of all ages. They are sturdy enough to be used as table centres and add great decorations to your party. Each pinata is hand crafted and extra special. It comes with Sweets, buster and blindfold. Pull string option available. High quality PVC Banners Personalised & Themed. We personalize Cups and plates too! We supply Popcorn in 1lt (45g)tubs or bags 35g or 125g.